The rain clouds have finally parted here in New England but not without some severe flooding in certain areas. My thoughts and prayers go out to all those affected by the storm. I hope that the warm temps and bright sunshine help clear all of this water away and folks can return to their homes and businesses. 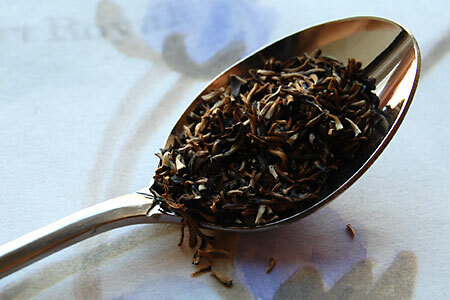 This morning’s tea is a Ceylon black tea from the Deniyaya estate, located in the Ruhuna district in southern Sri Lanka. I’ve written about another tea grown in this district here. The plucking is predominantly composed of very fine tip, giving the dry leaf a “salt and pepper” look. 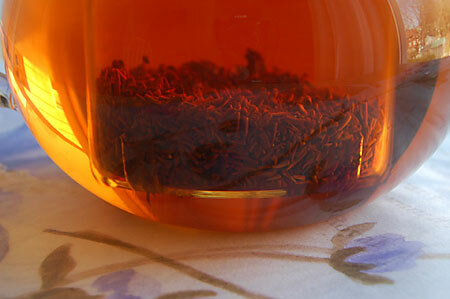 The fine, needle-like structure of the leaf reminds me of South African Rooibos. 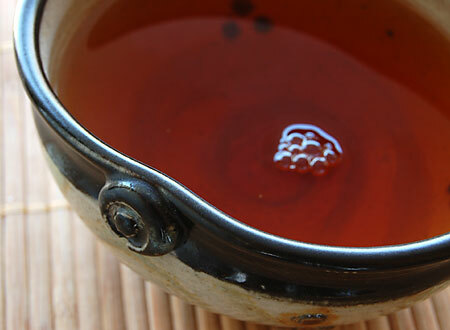 Because of its fine structure, I steeped the leaf for 3 minutes in boiling point (212F) water. It didn’t take up much room in my teapot’s infuser at all. 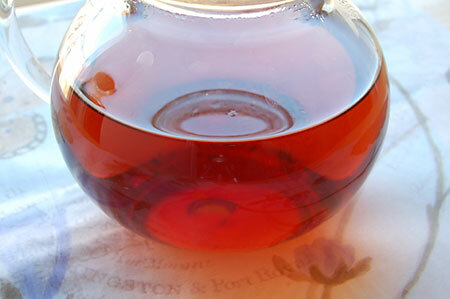 As I poured my first cup, I notice a pronounced, rich molasses aroma wafting up from the dark amber liquor. 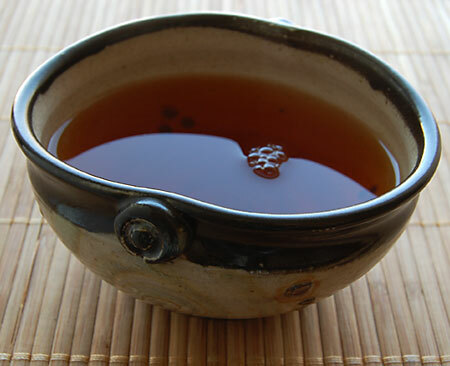 I’m enjoying my tea in a new teabowl purchased from Salty Dog Pottery at a recent art show I attended. As I browsed around the show, I was immediately drawn to the soft colors and symbolism on this piece. The shiny glazing is created with salt! I love the layered complexity of this tea. I taste cocoa, whispers of vanilla, hints of fruitiness and a smoothness that carries into the finish. Today I am spending the afternoon with my precious 17-month old granddaughter who is here visiting from New Mexico. The day has graced us with warmth and sunshine so we are going to enjoy a trip to the playground and a long walk on the bike trail at a nearby pond. Oh yes, and a trip to the toy store for a Dora the Explorer doll! Ella loves Dora and calls her “Do-ba”, “Do-ba”.